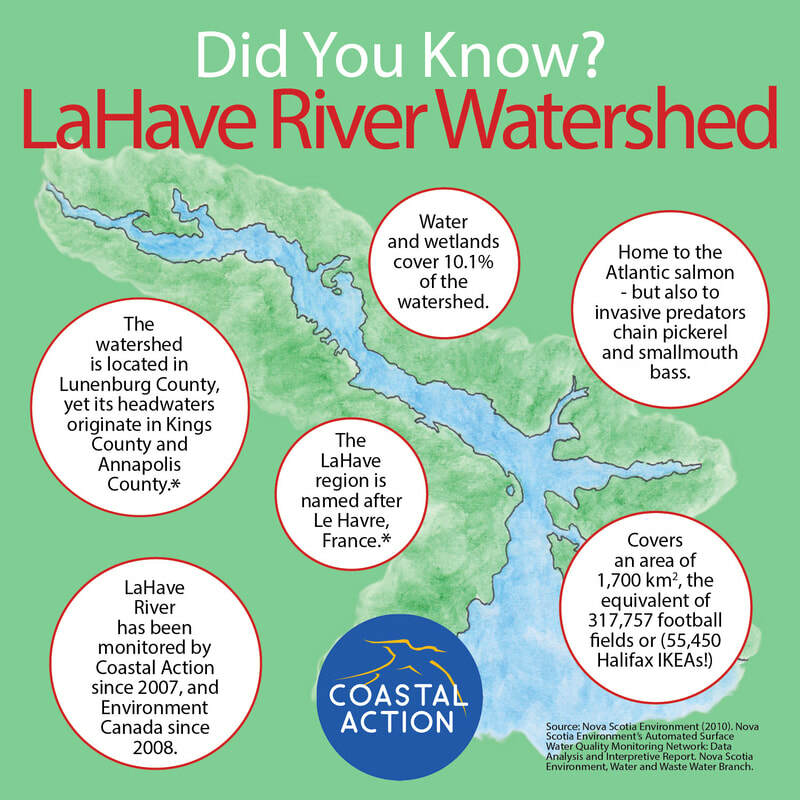 Coastal Action initiated the LaHave River Watershed Project (LRWP) in 2007, in response to increasing public concern over the health of the river. This water quality monitoring program has become one of the strongest, longest-running programs in Atlantic Canada. The LRWP is guided by an advisory committee representing various government departments, academia, industry, non-profit organizations, and community members. The program involves water quality monitoring at 15 sites throughout the watershed. Water samples – including bacteria – are collected from 10 sites to monitor chemical changes within the water at a watershed-scale, and to monitor water quality changes over time. 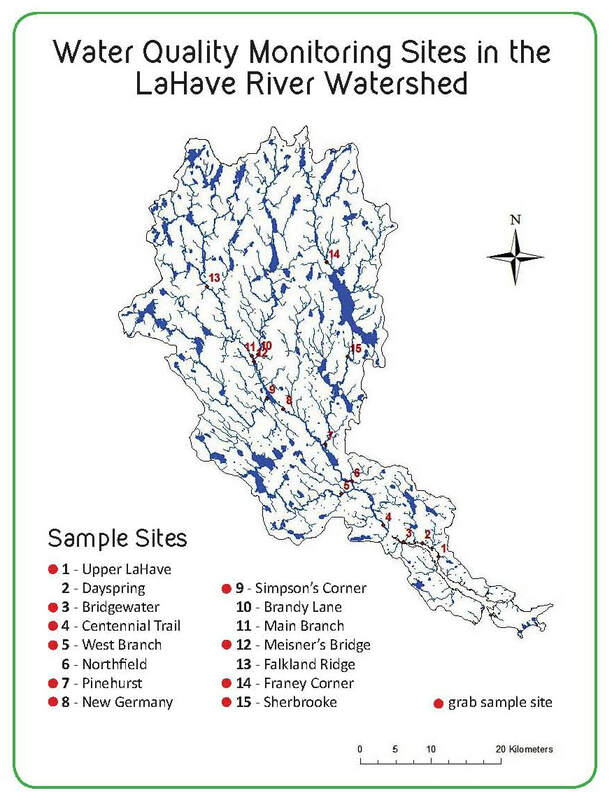 A Water Quality Index (WQI) report is published annually for the LaHave watershed, to provide a score for each site’s overall health. For more information, contact our Watersheds and Water Quality Team Lead, Sarah MacLeod, at sarah@coastalaction.org.